These rental properties in the Grand Haven and Holland areas are available during the off season for monthly rental. Most properties have a three month minimum lease term, however please contact us for complete rate and term details. 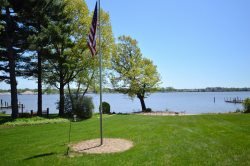 Holland Vacation Rental with Private Lake Michigan Beach! Downtown Grand Haven Condo Seconds from the Boardwalk! Holland Vacation Rental Close to Tunnel Park and Holland Beaches! Norton Shores Vacation Home within 1 mile of Lake Michigan Beaches!